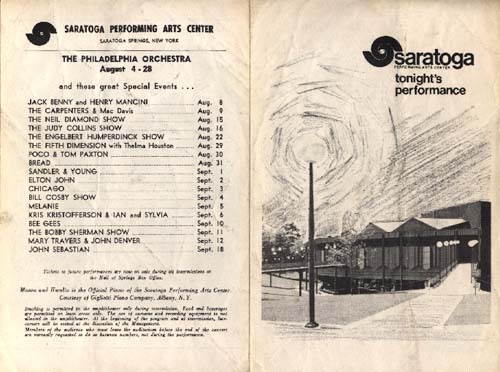 Saratoga Performing Arts Center - August 2, 1971 (I don't have the program but would like to buy one if anyone has one for sale). 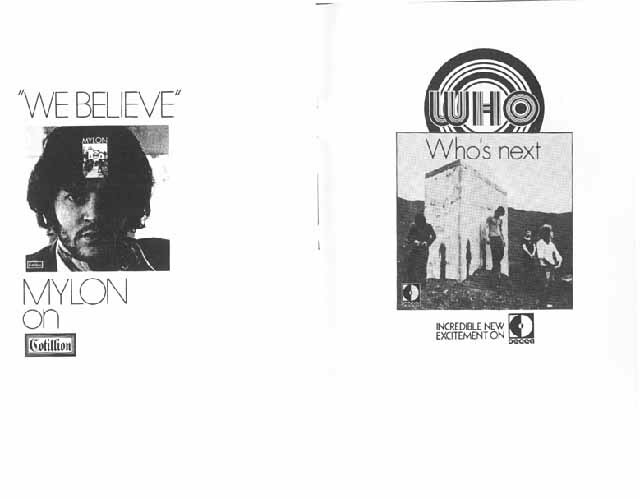 Front/Back. 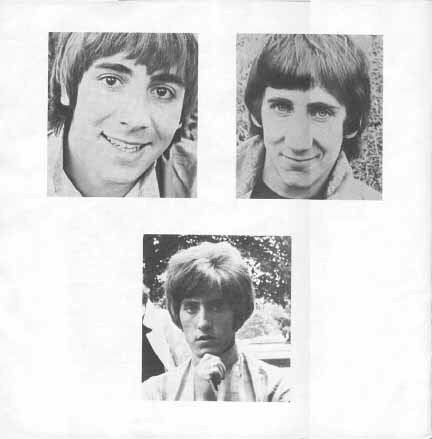 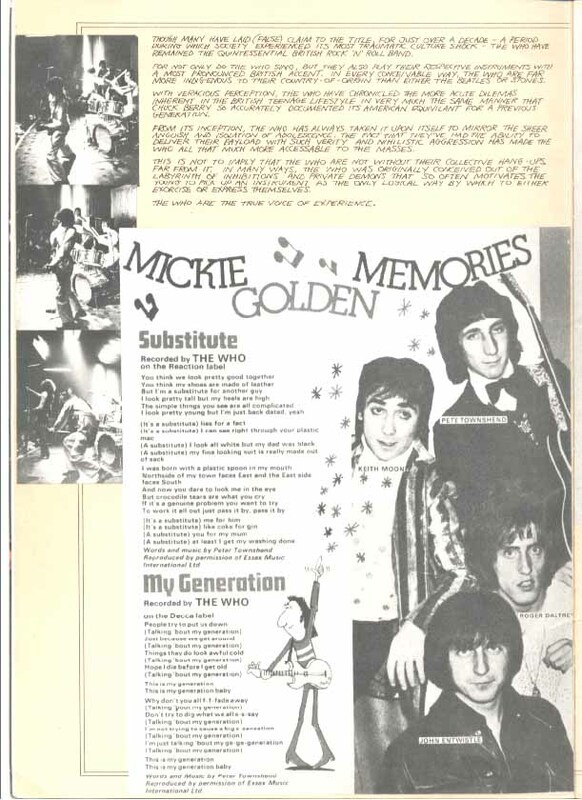 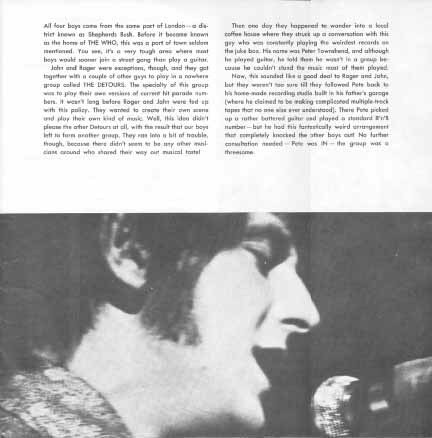 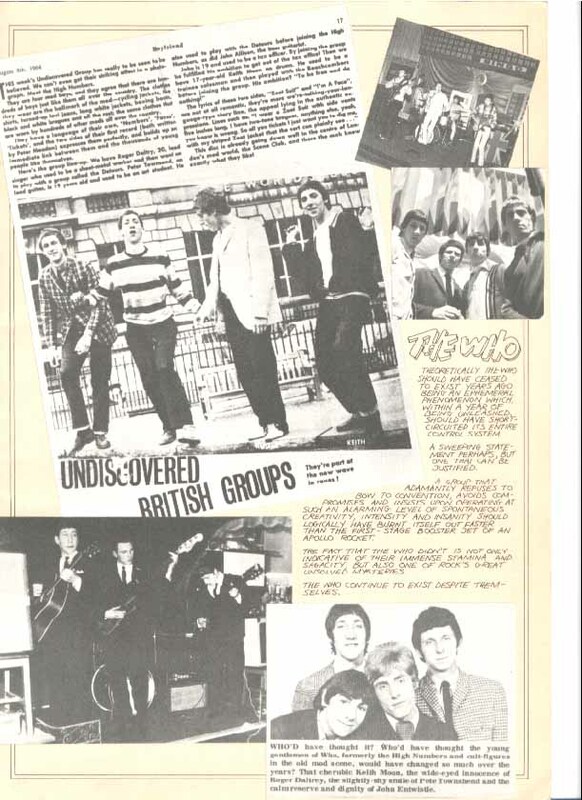 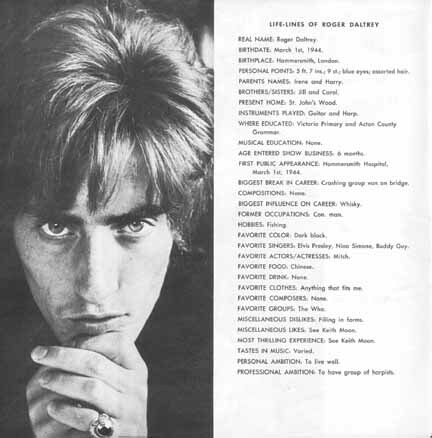 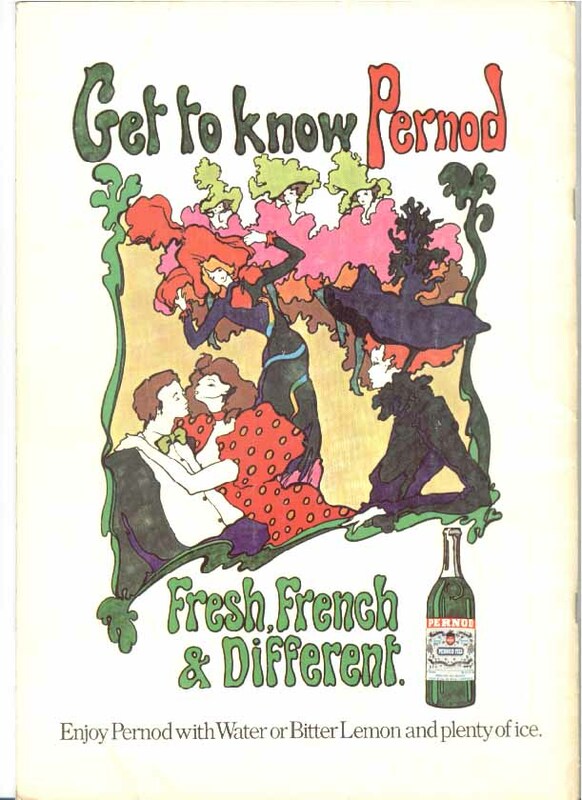 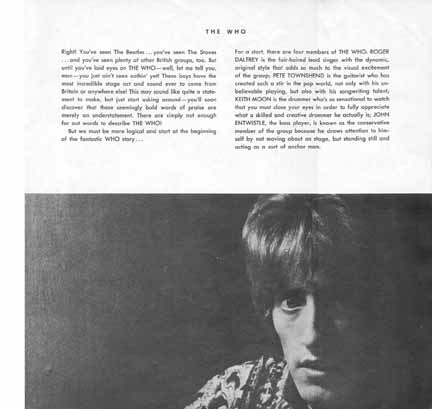 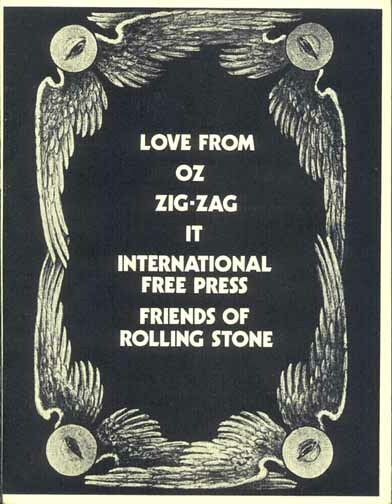 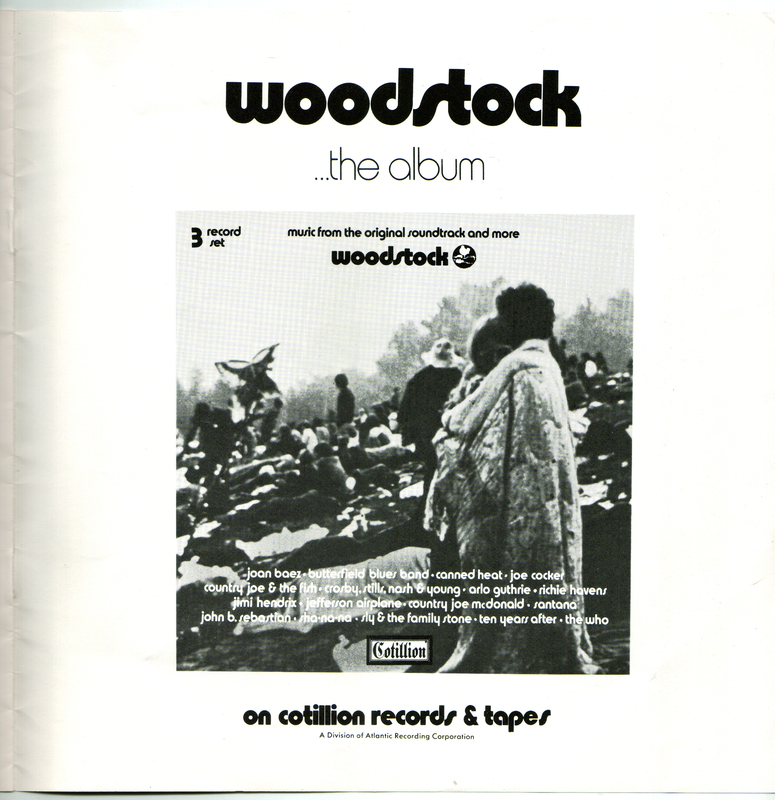 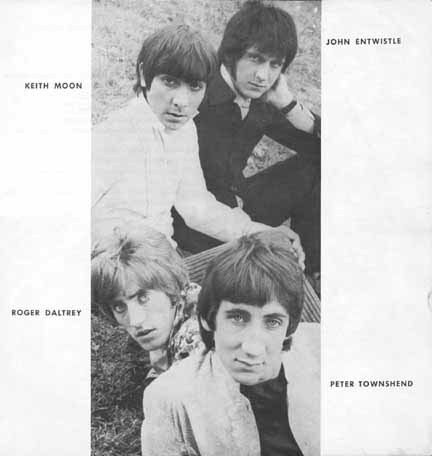 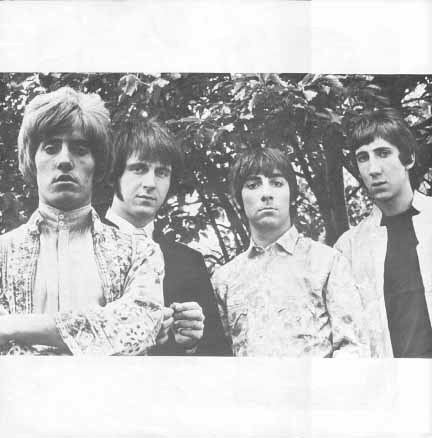 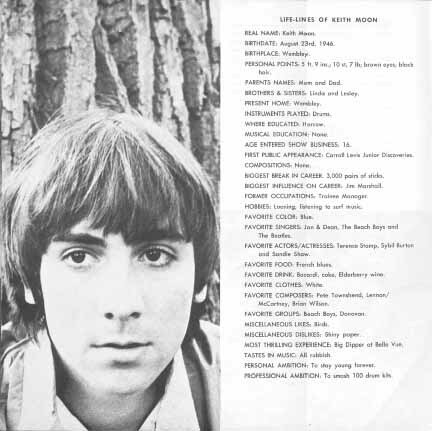 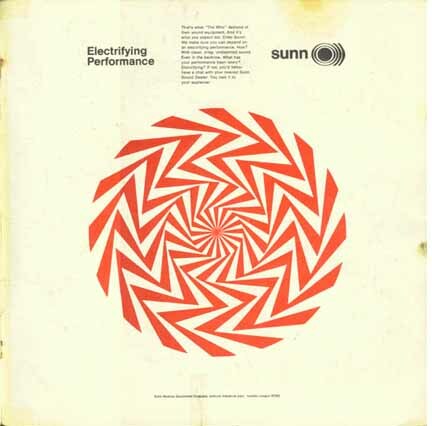 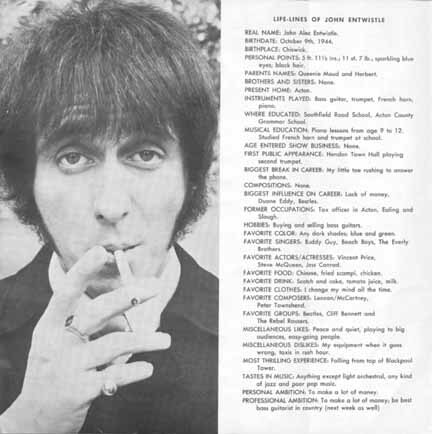 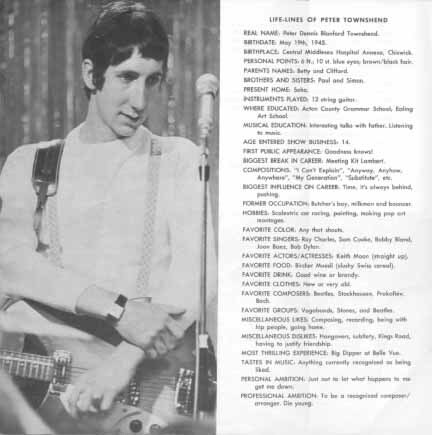 The complete program for the 1967 U.S. tour. 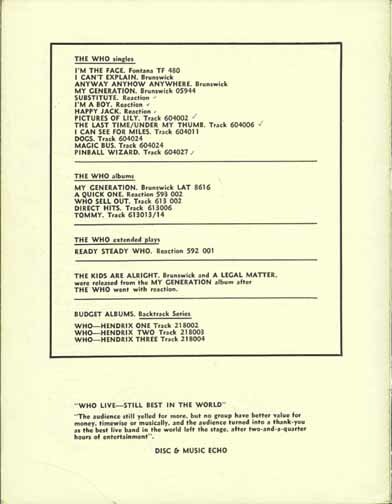 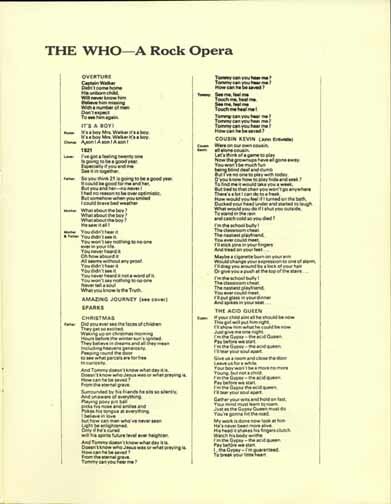 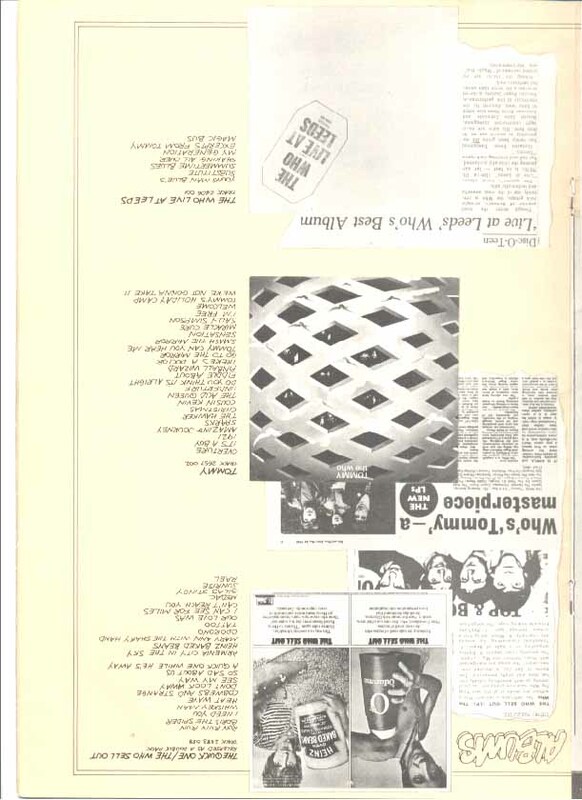 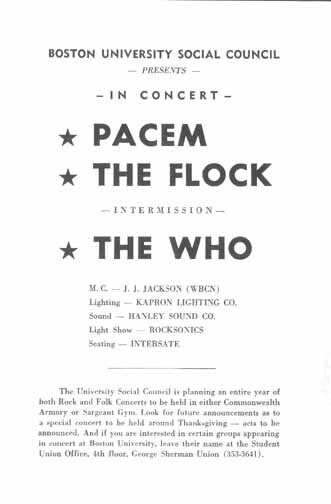 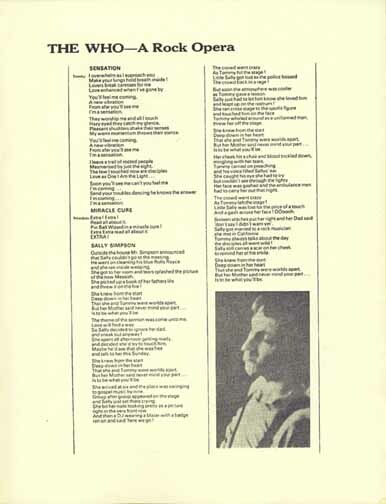 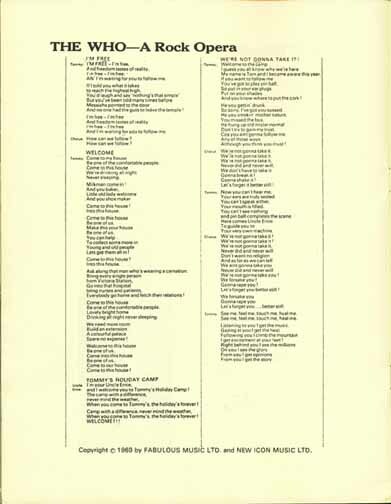 The complete program for Commonwealth Armory at Boston University, October 10, 1969. 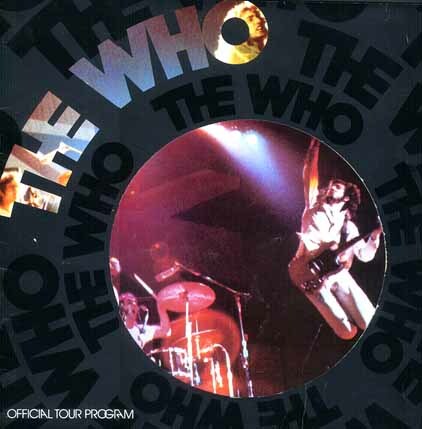 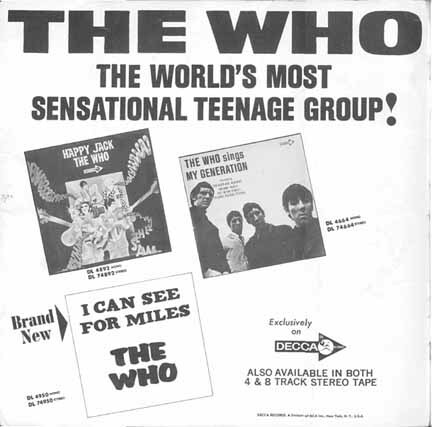 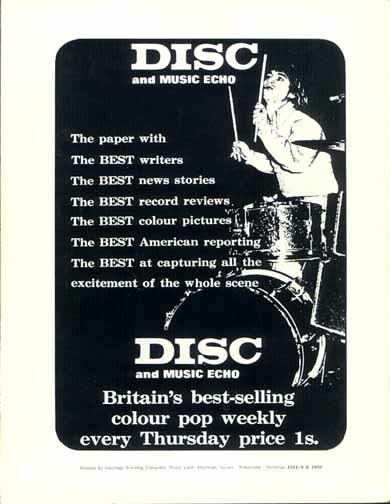 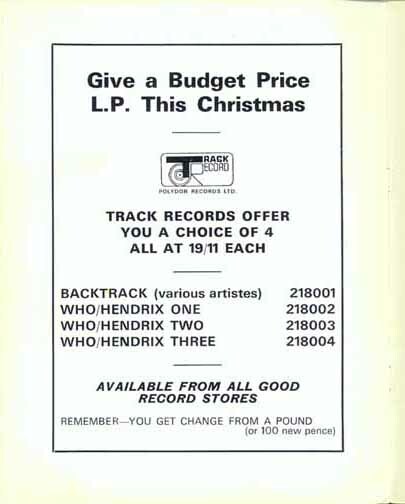 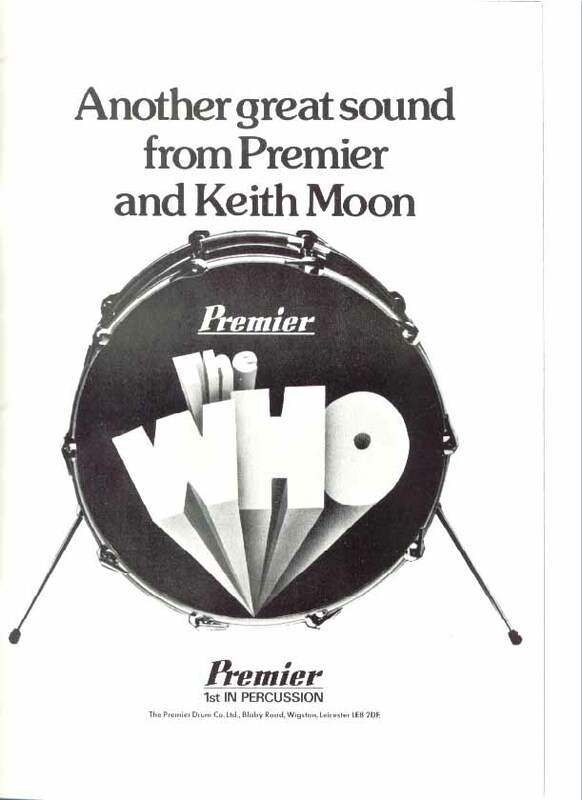 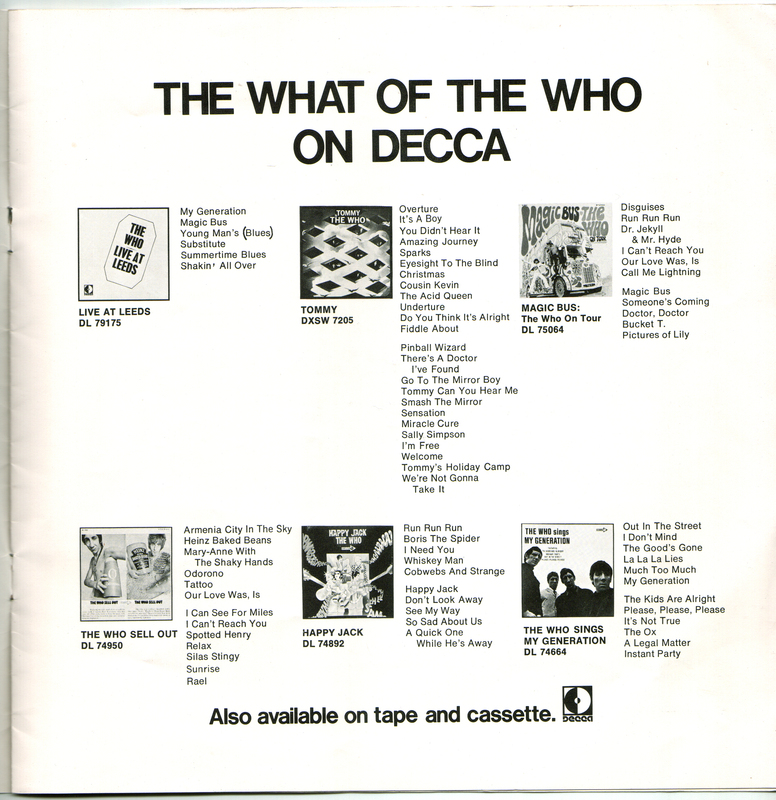 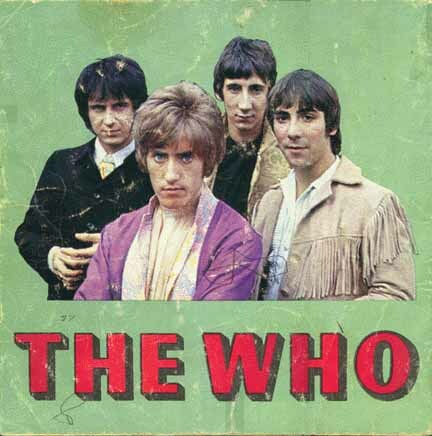 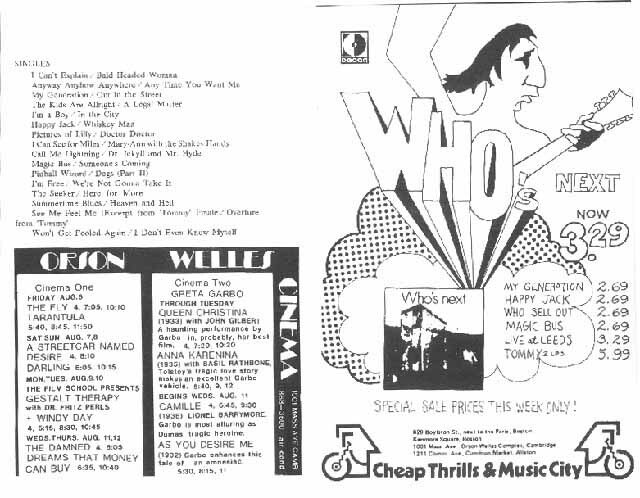 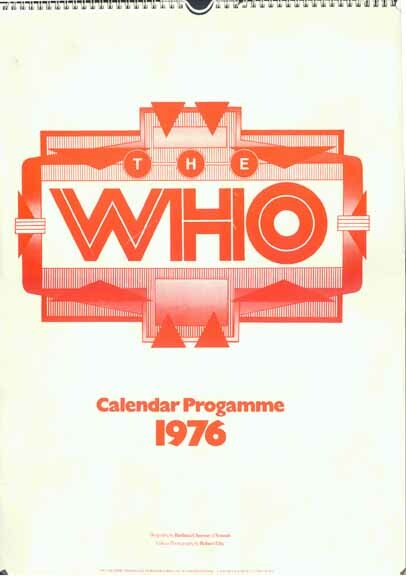 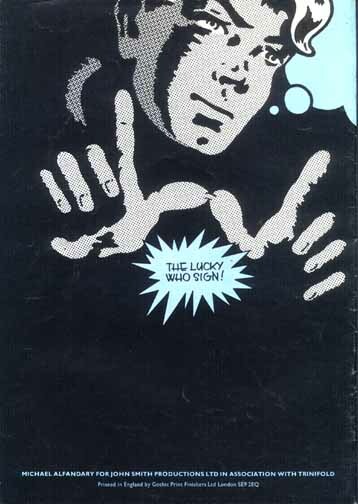 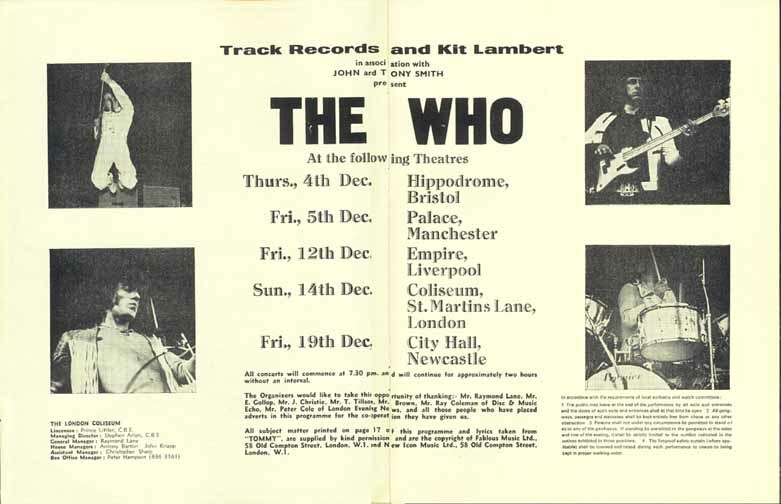 The complete program (and a ticket stub) for the Who's December, 1969 shows in and around London. 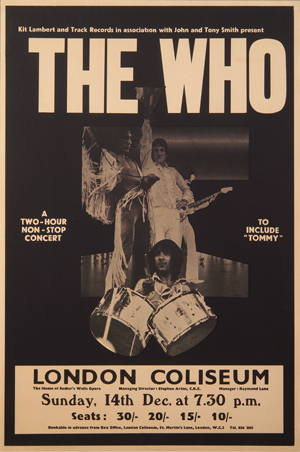 The poster for the December 14th show hangs in my living room. 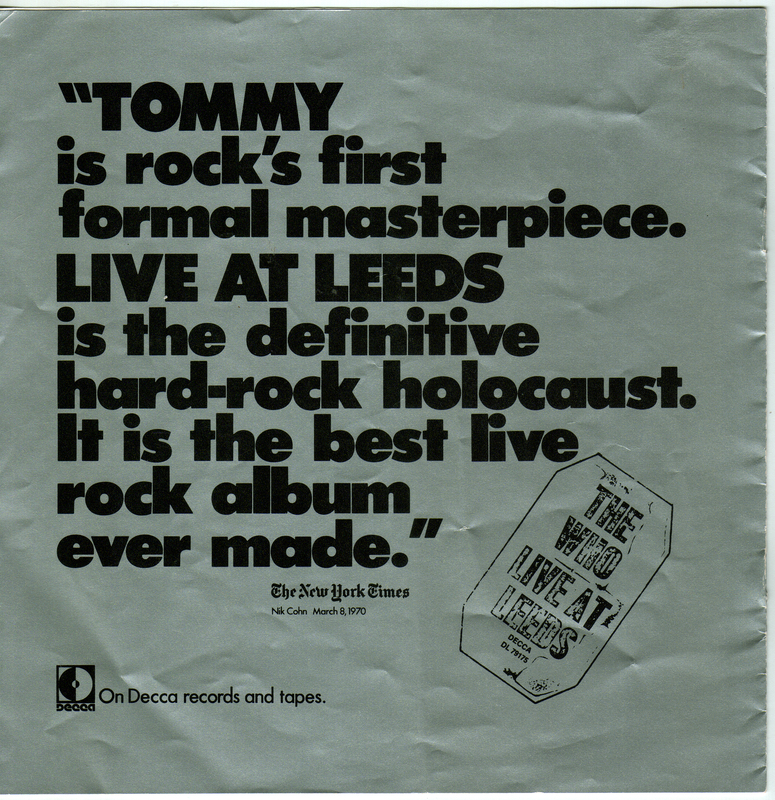 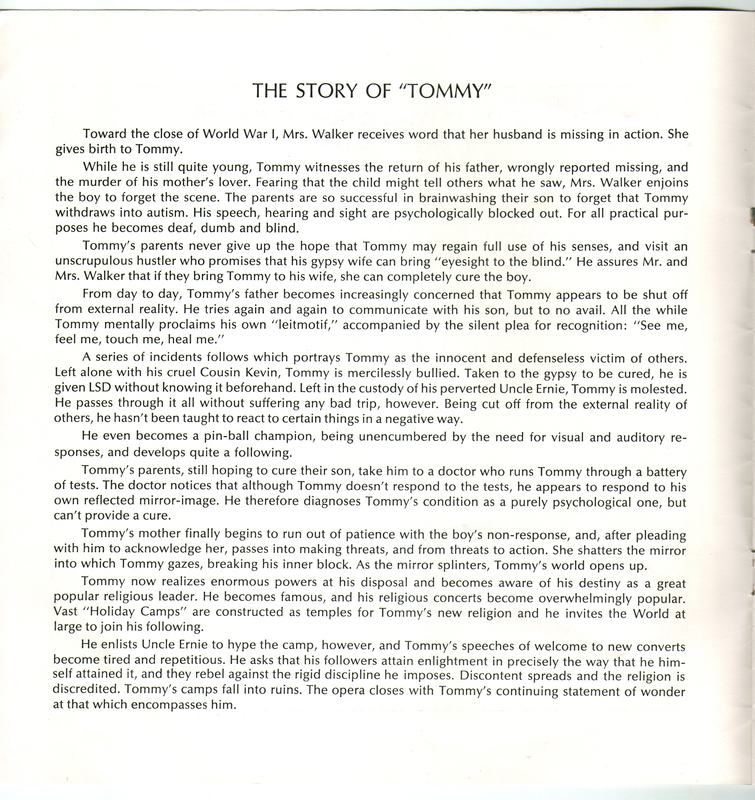 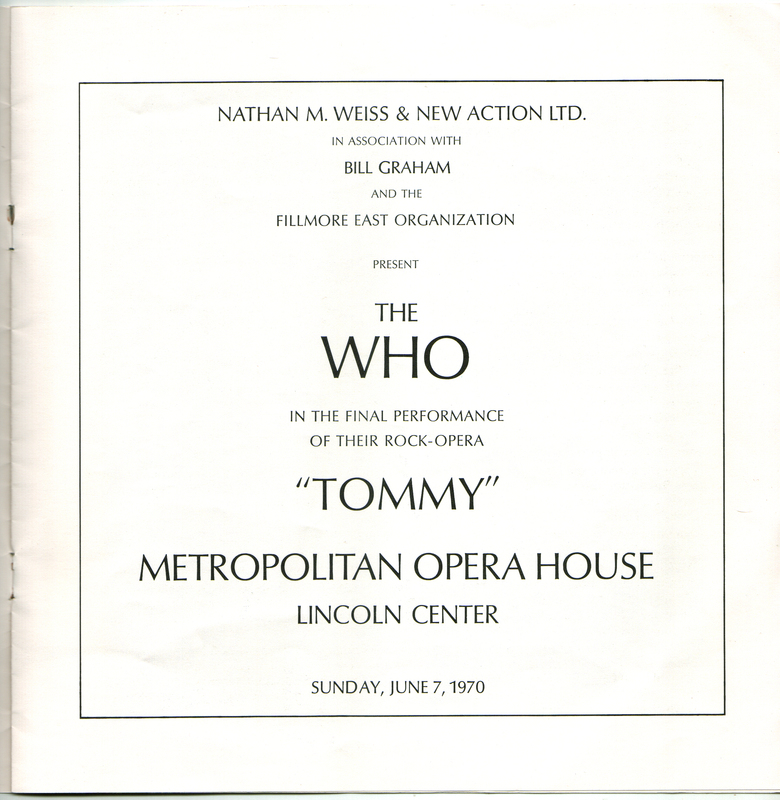 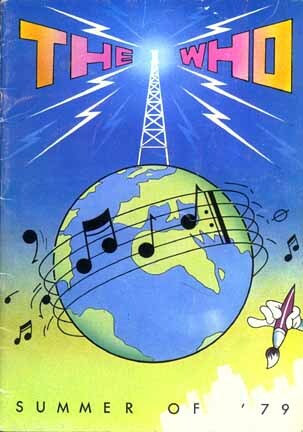 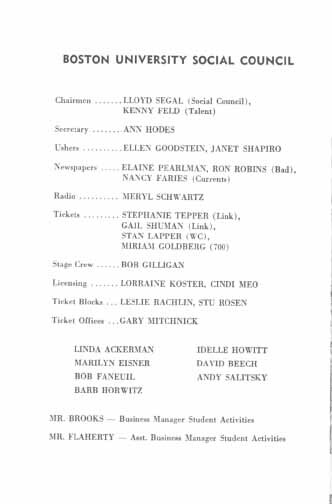 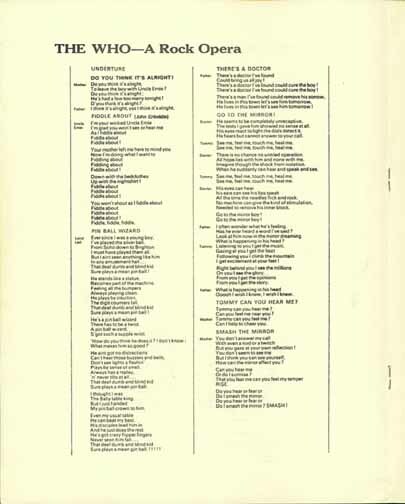 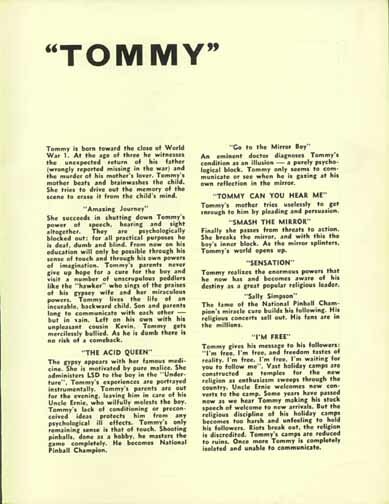 The complete program for the June 7, 1970 performance of Tommy at the Metropolitan Opera House at Lincoln Center in New York, N.Y. 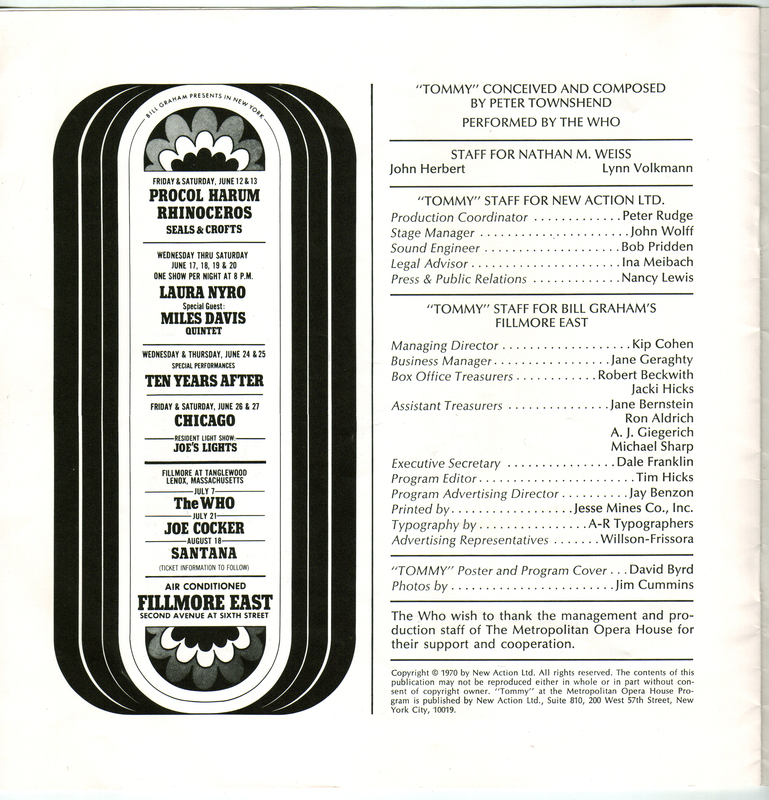 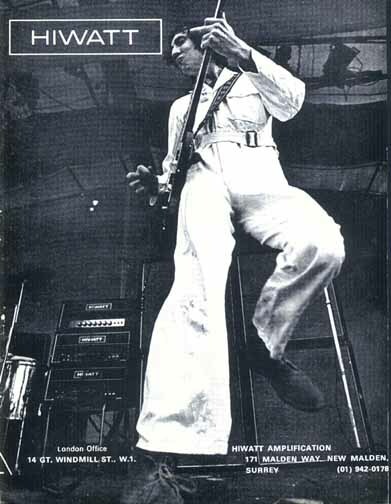 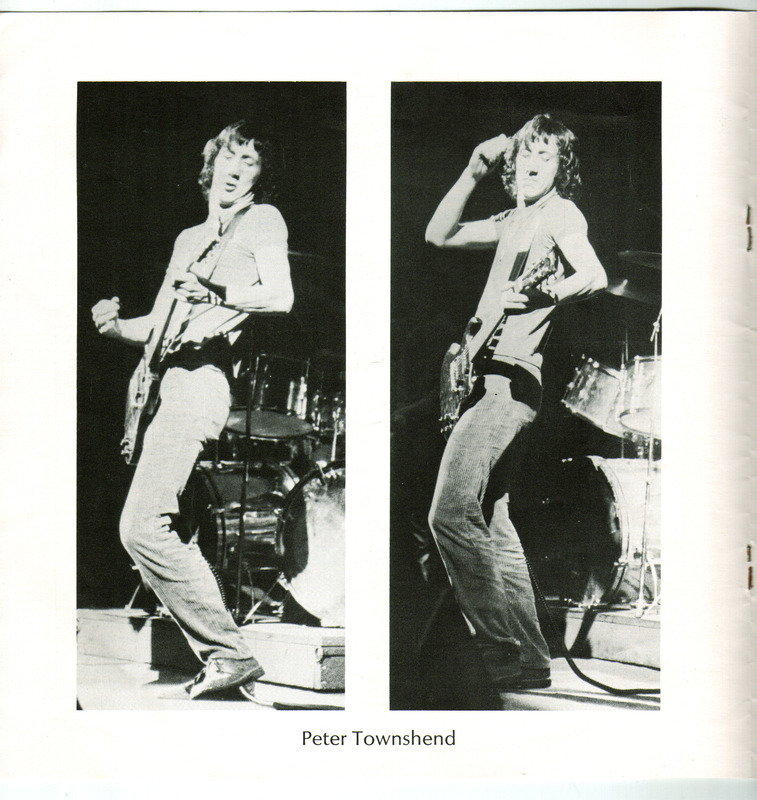 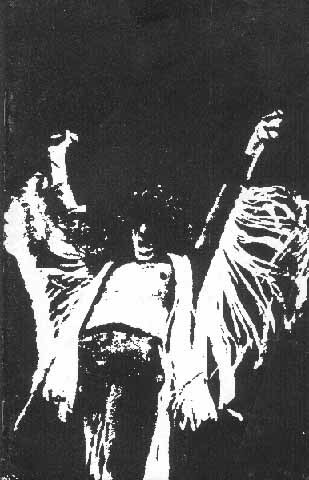 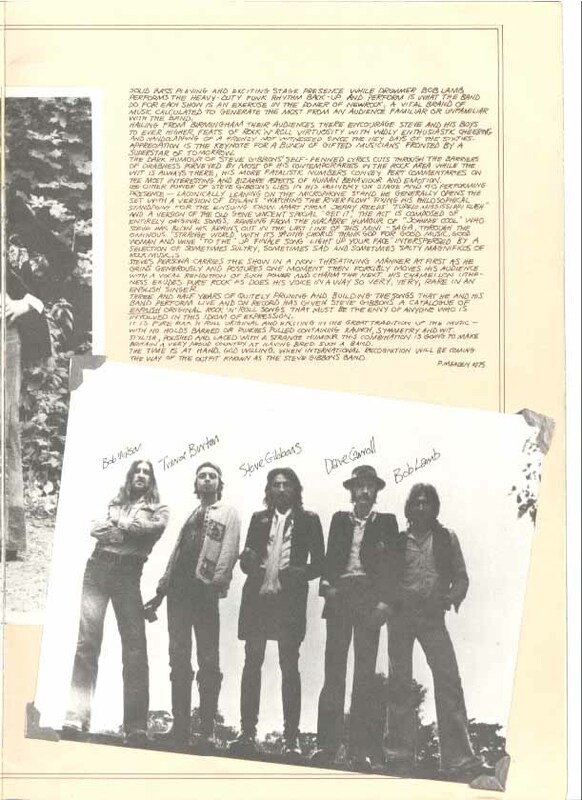 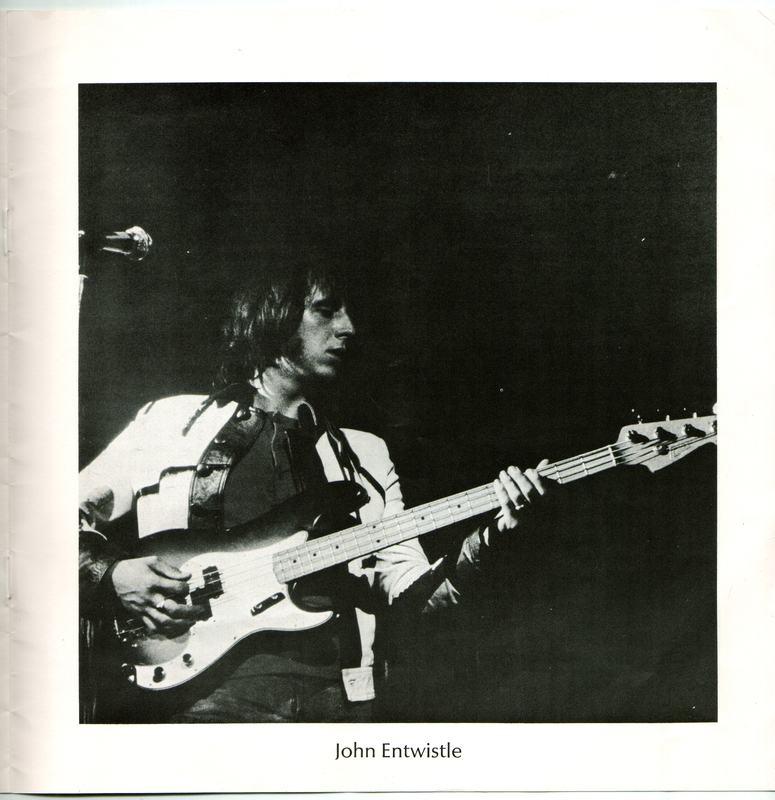 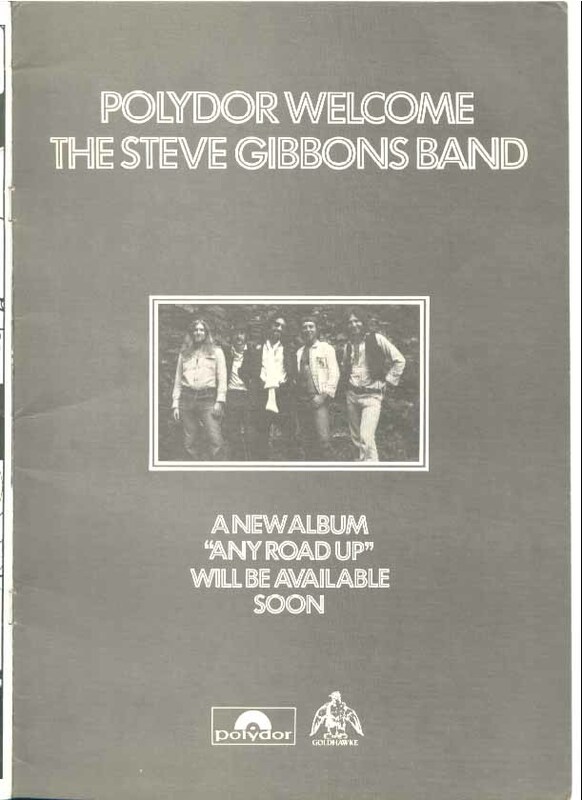 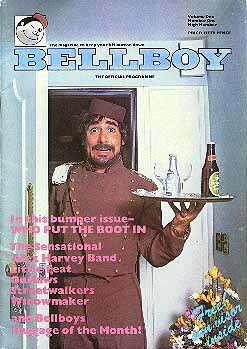 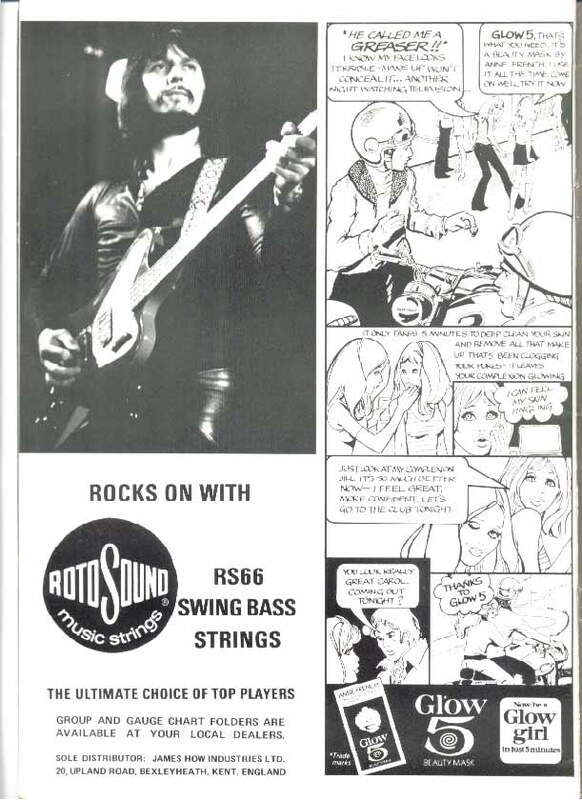 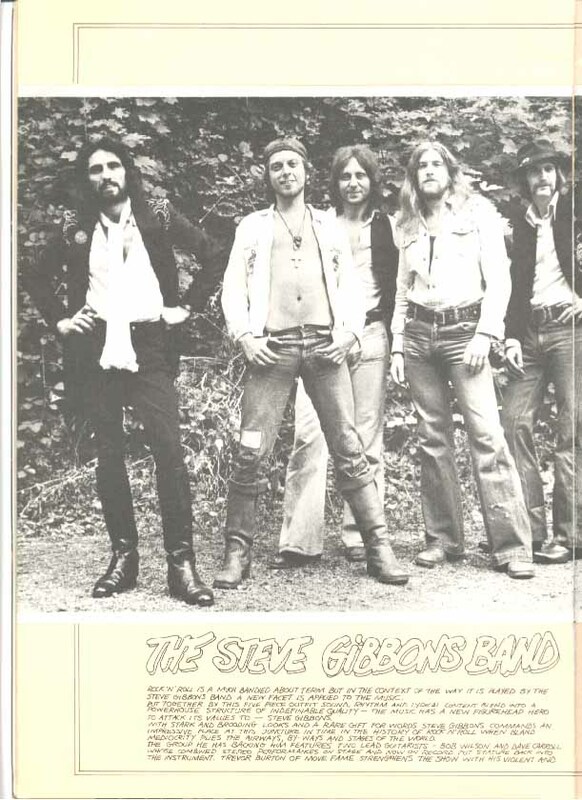 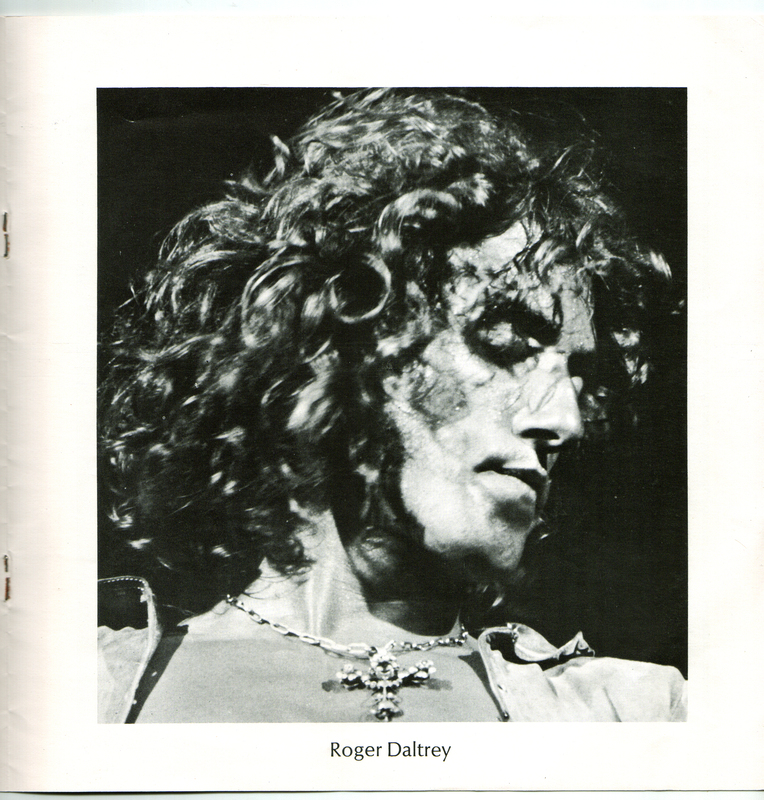 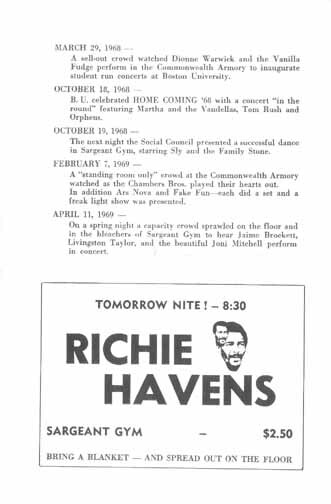 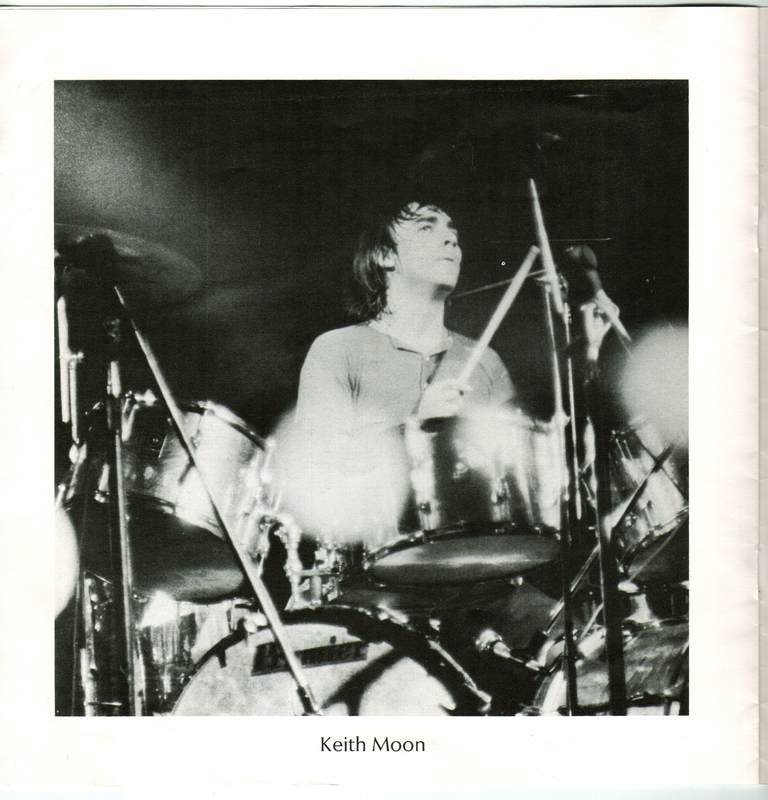 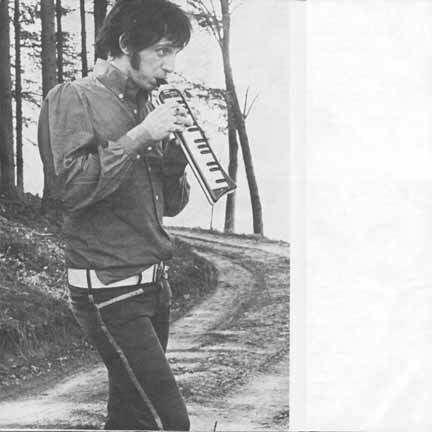 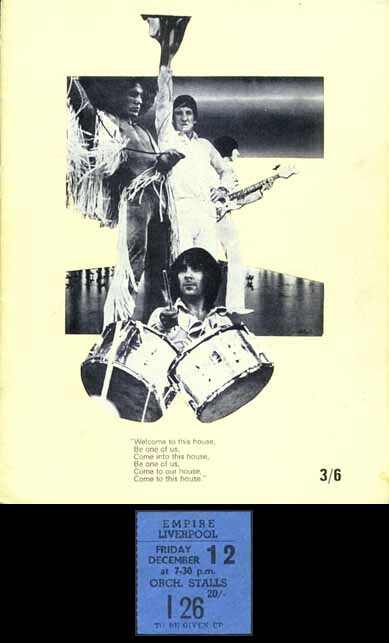 The complete program for the Boston shows August 4, 5 and 6, 1971 and a show added on the 7th. 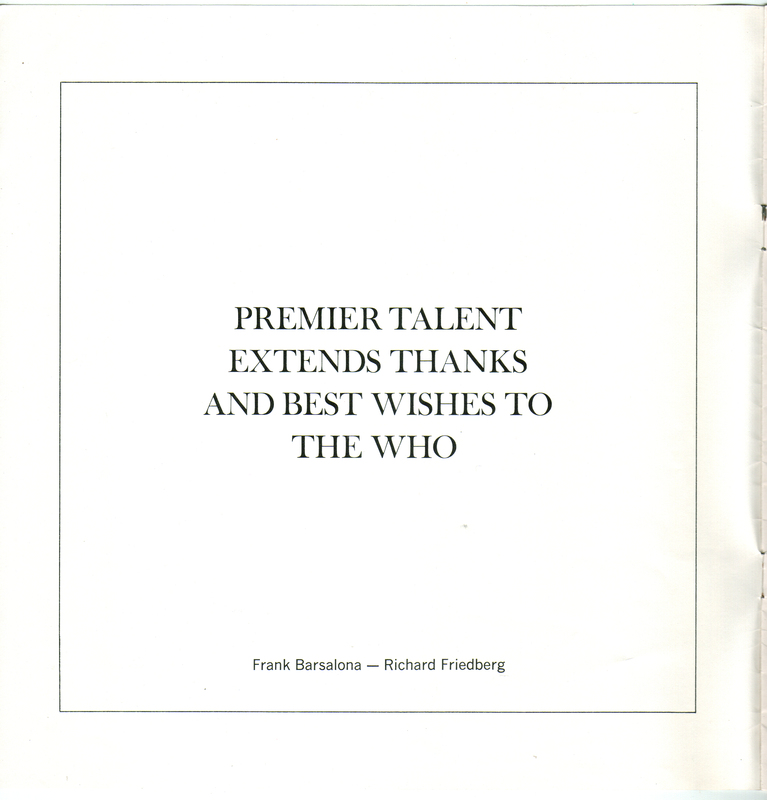 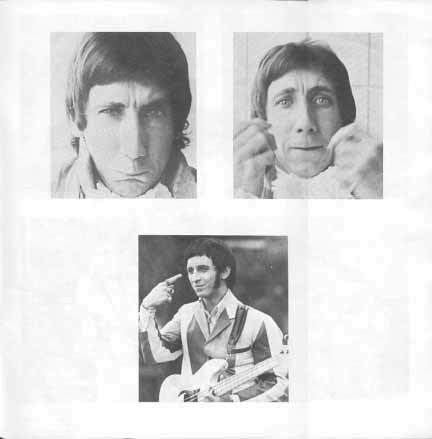 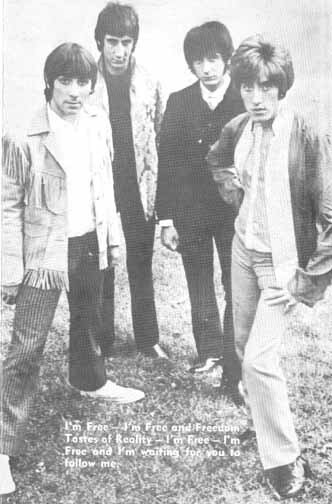 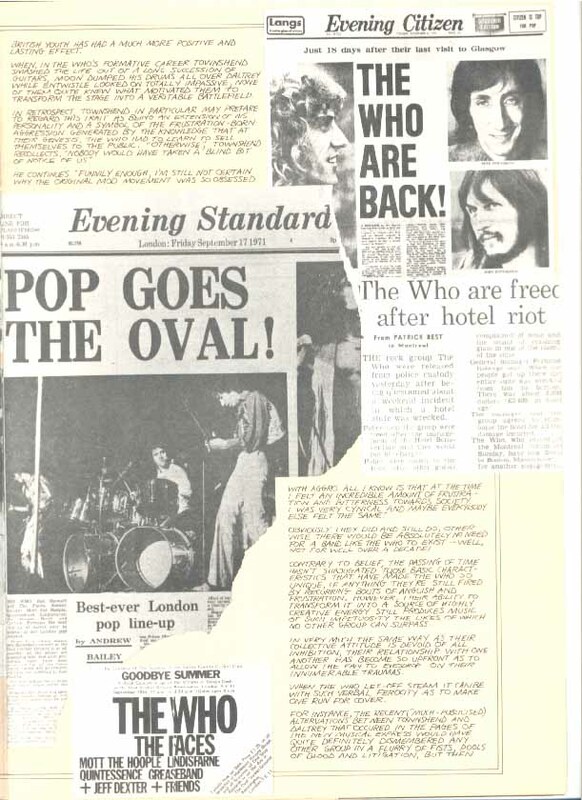 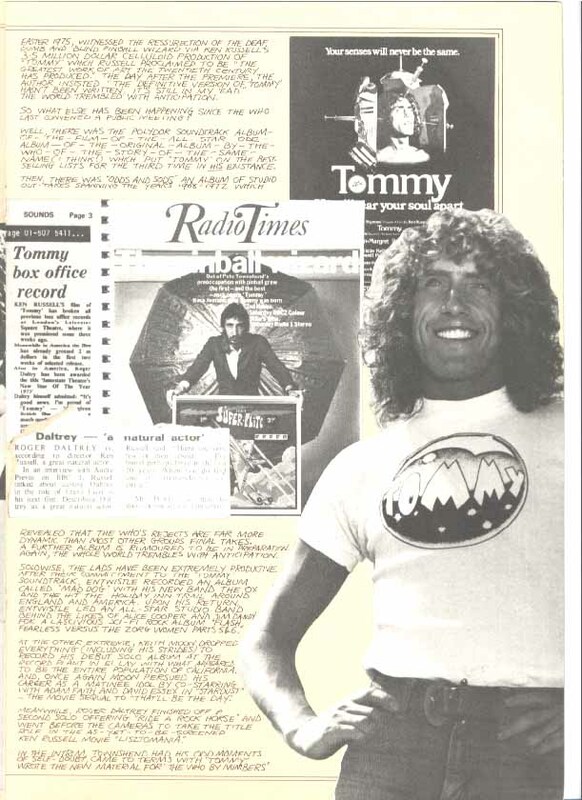 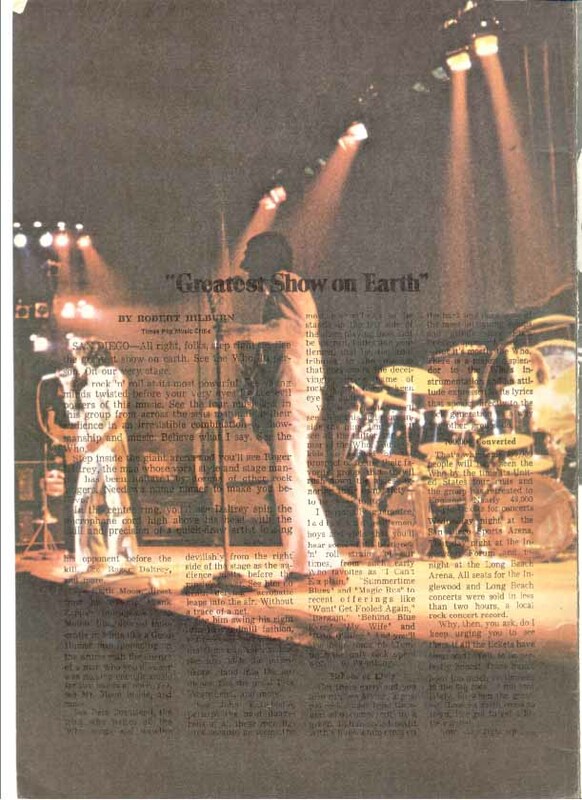 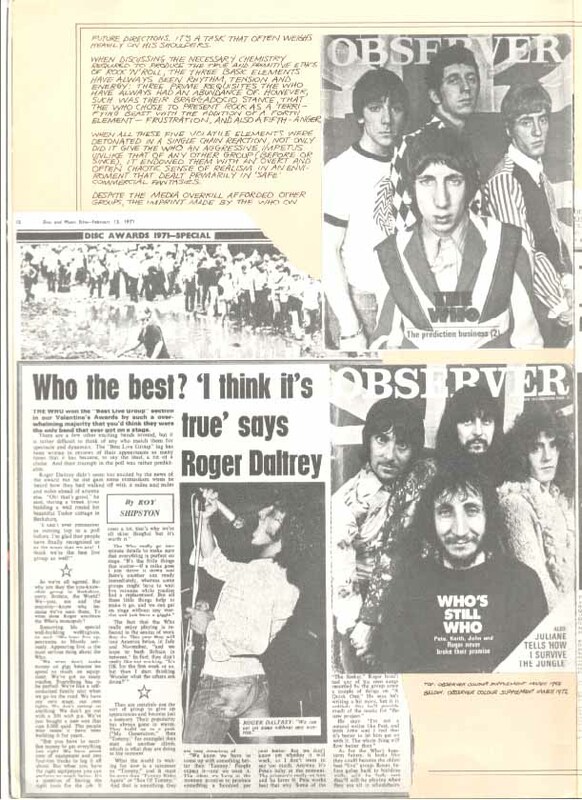 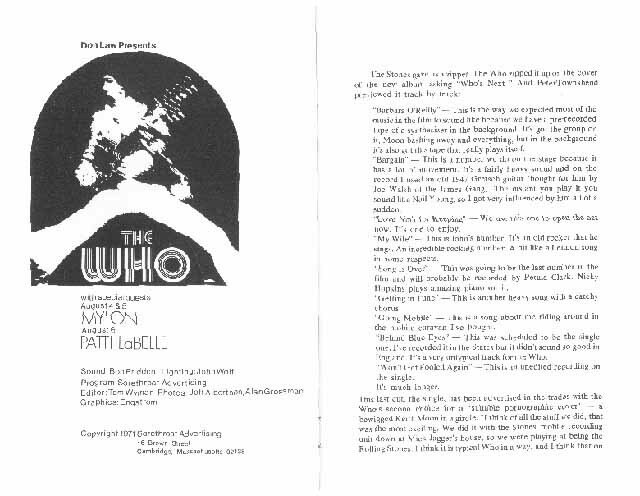 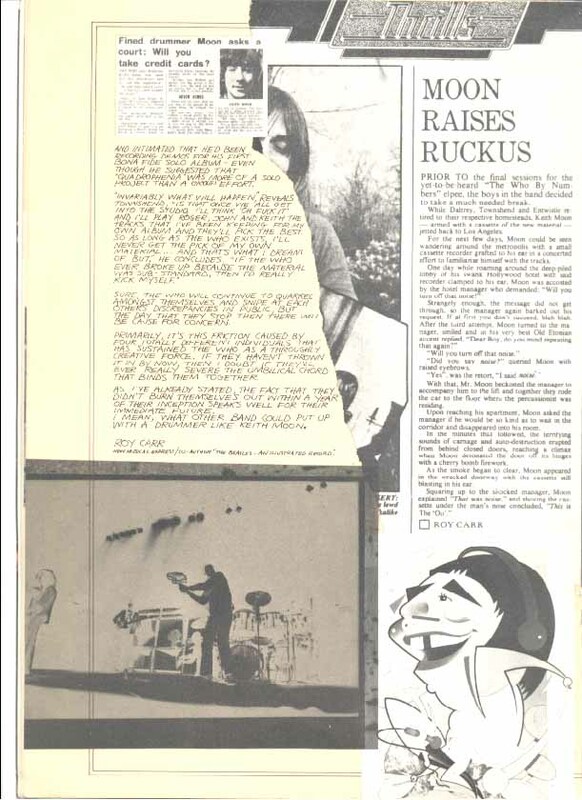 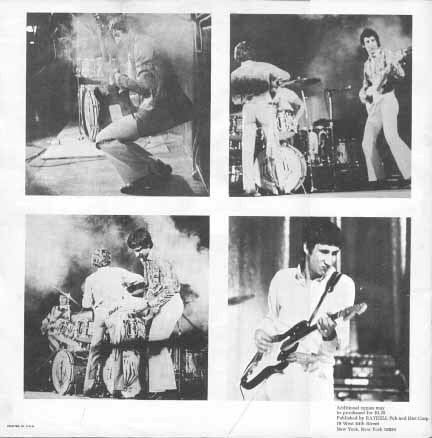 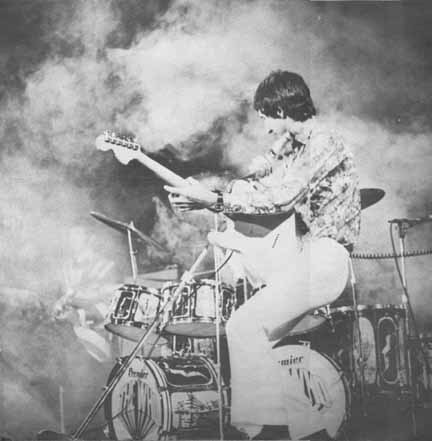 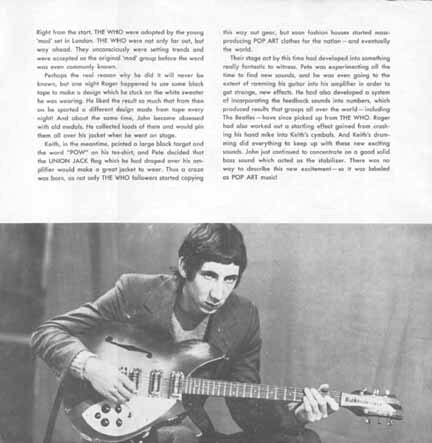 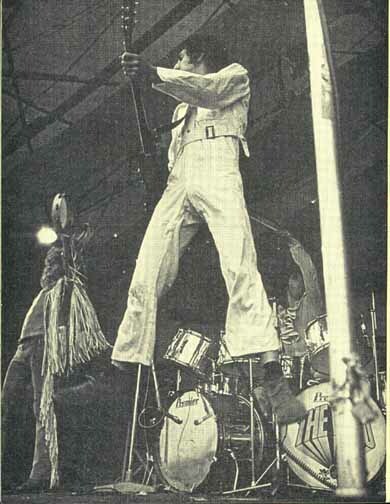 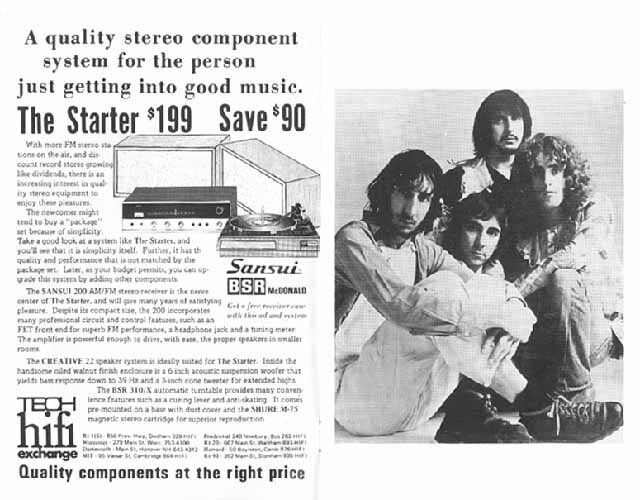 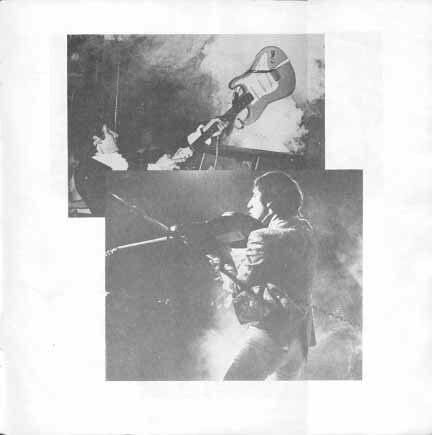 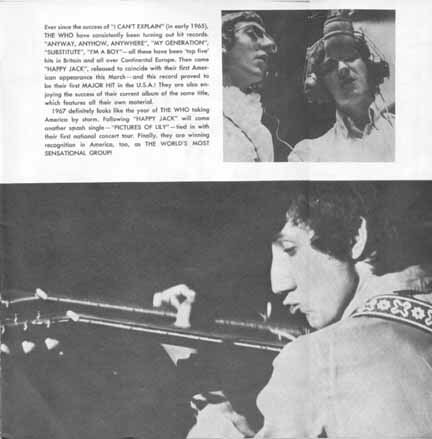 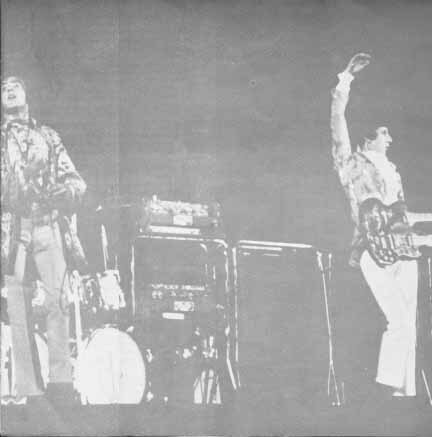 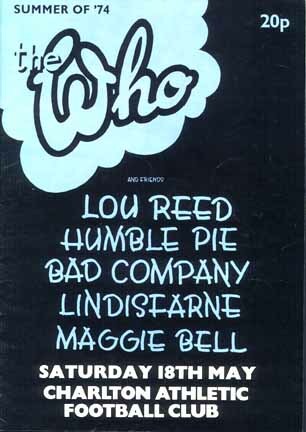 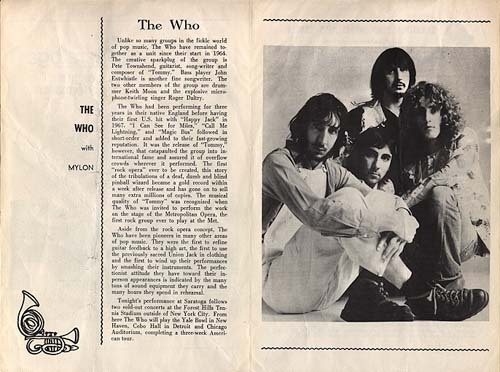 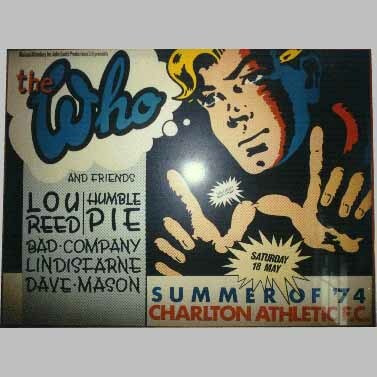 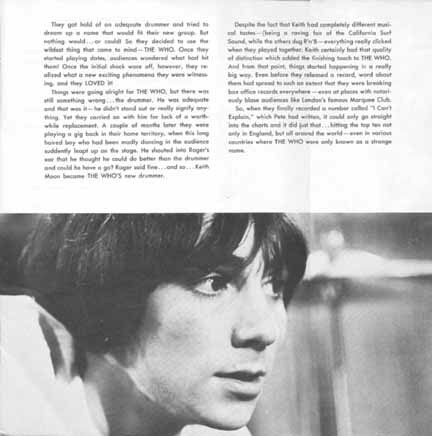 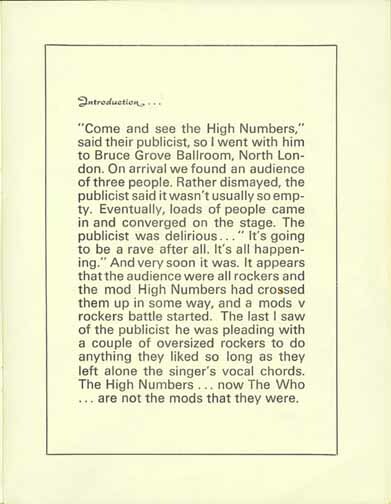 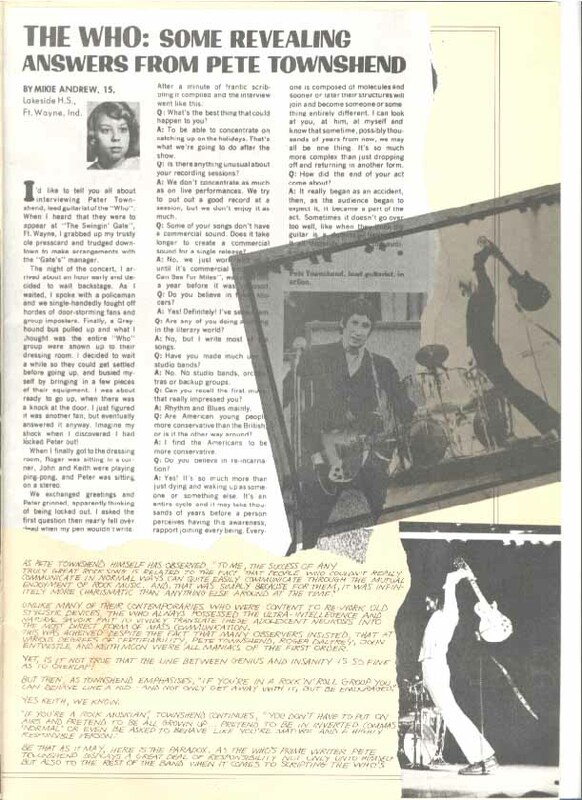 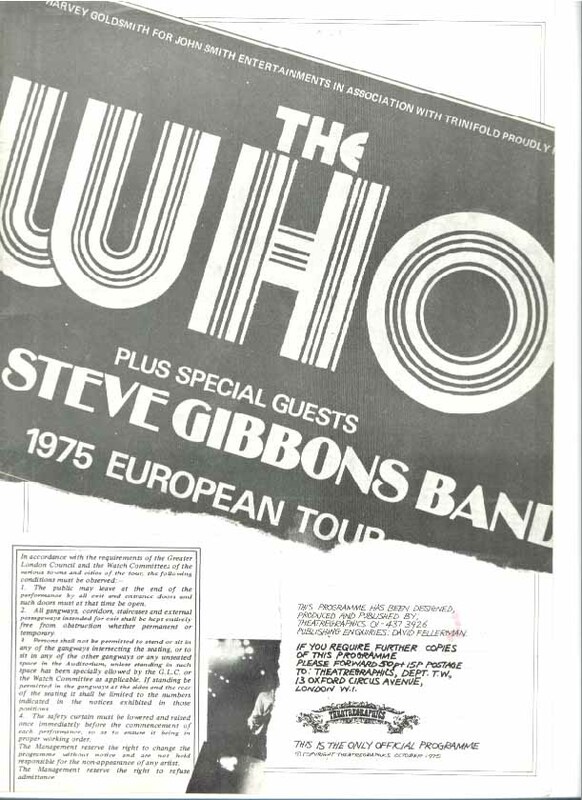 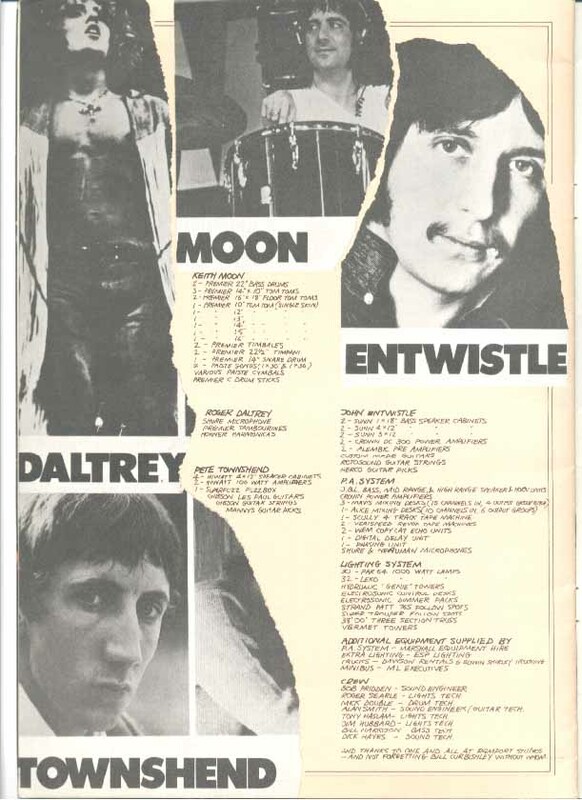 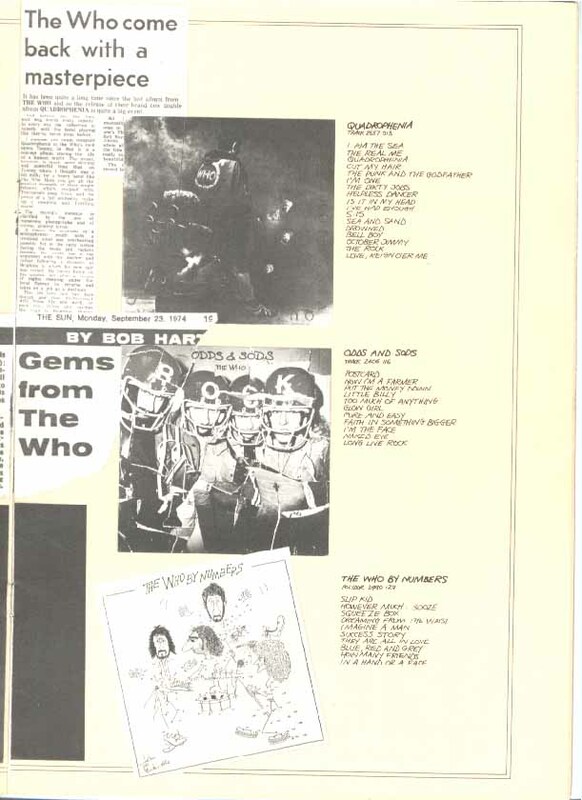 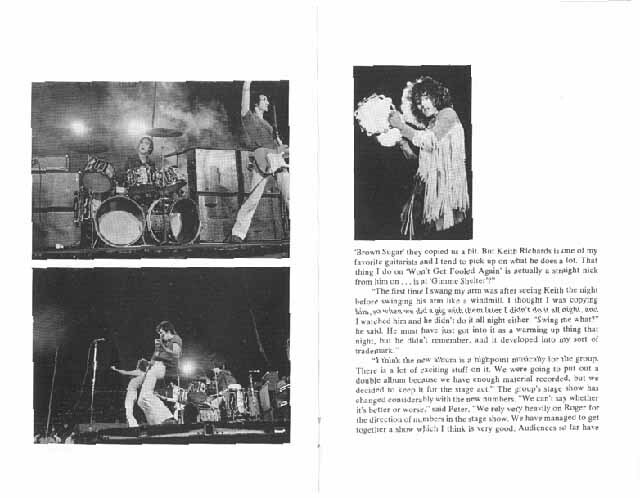 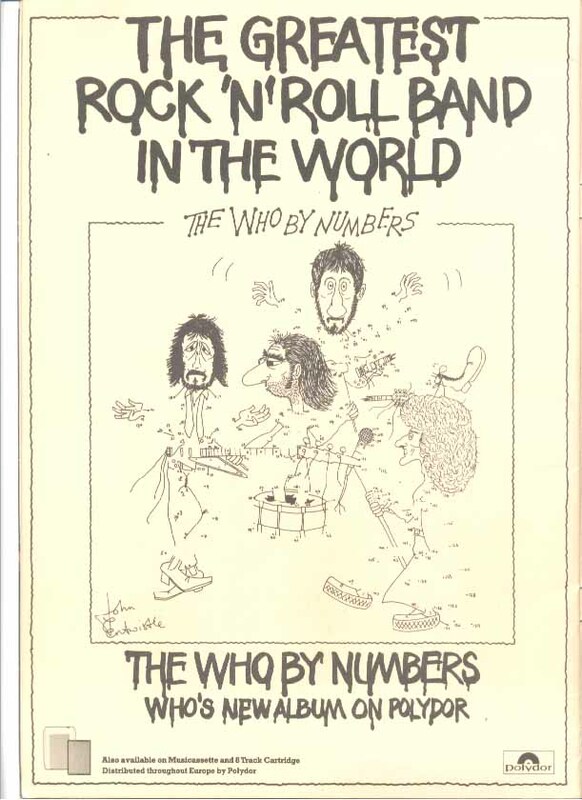 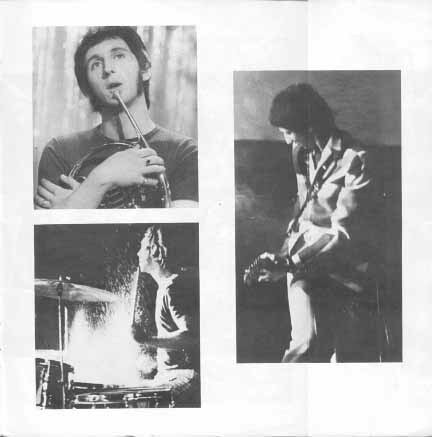 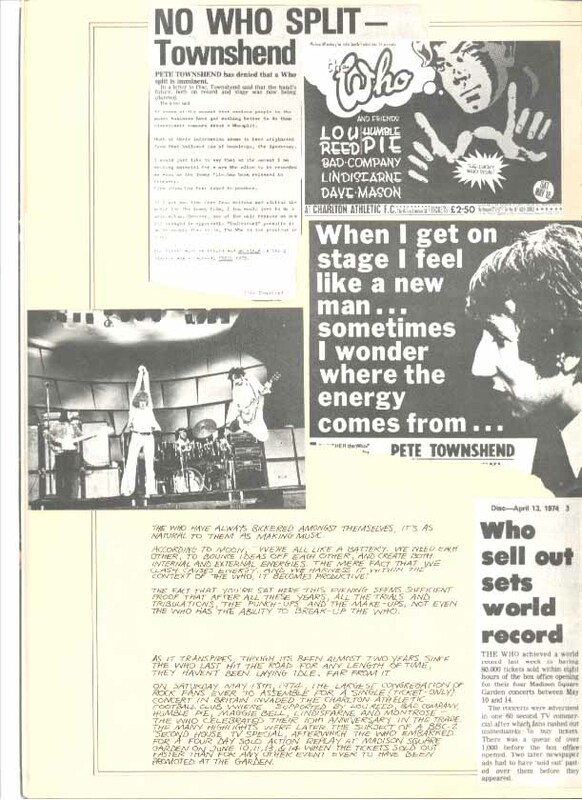 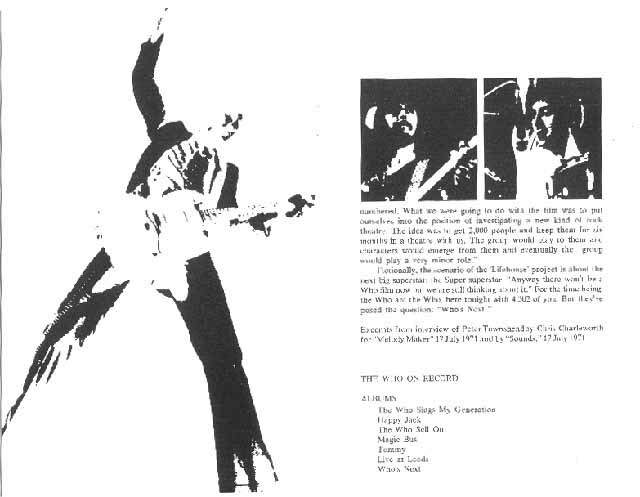 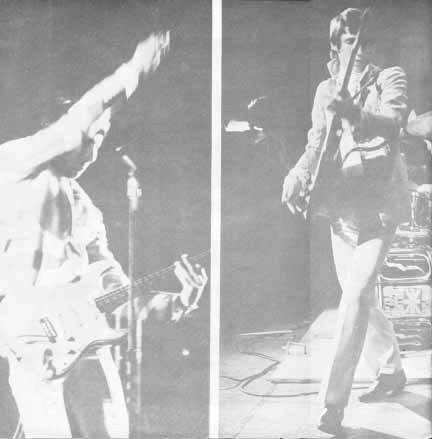 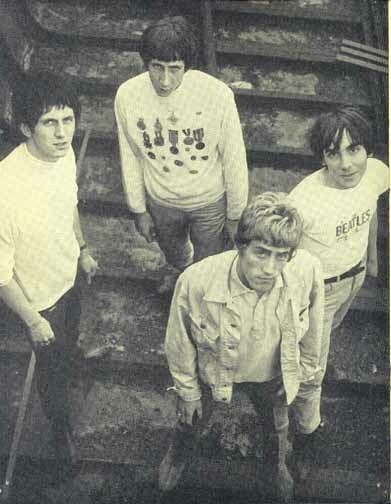 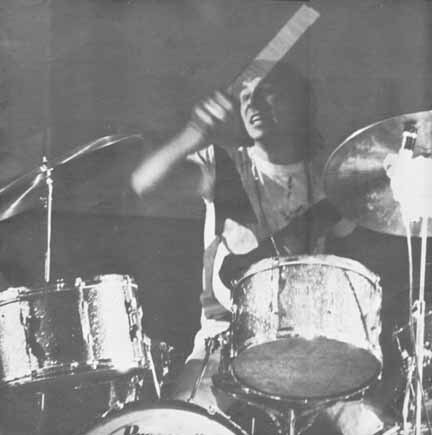 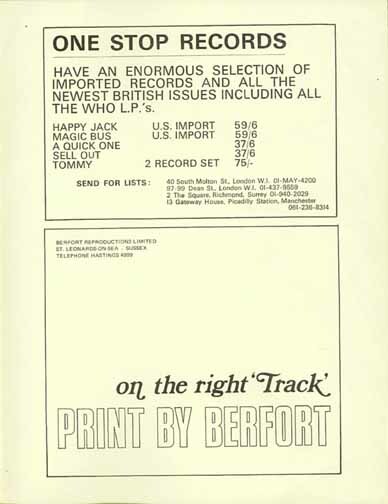 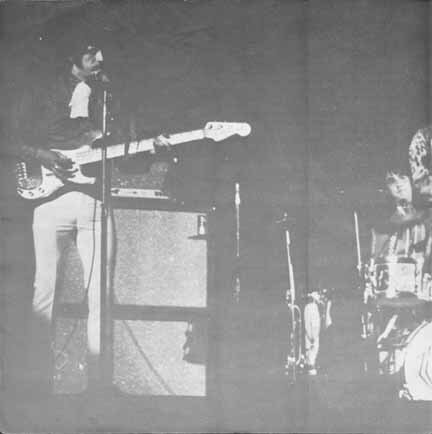 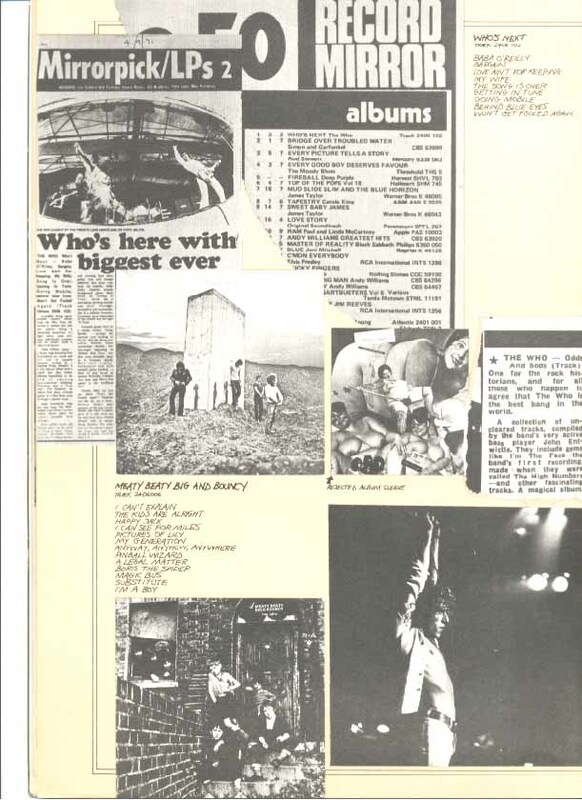 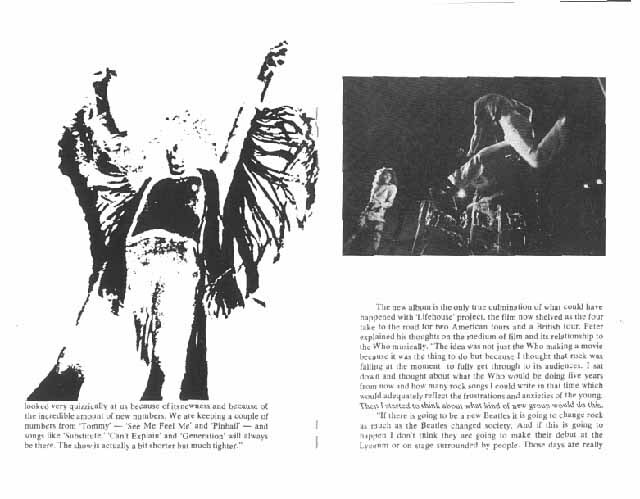 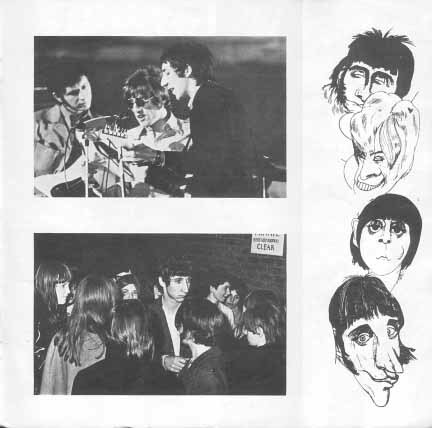 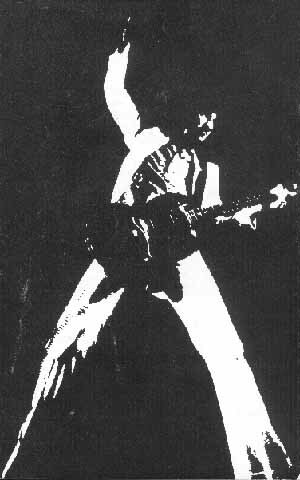 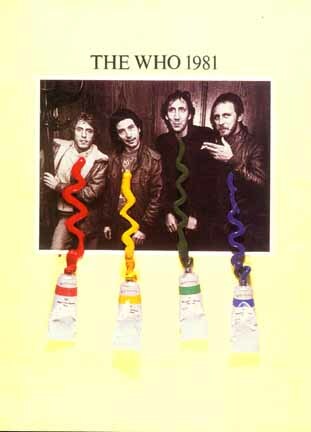 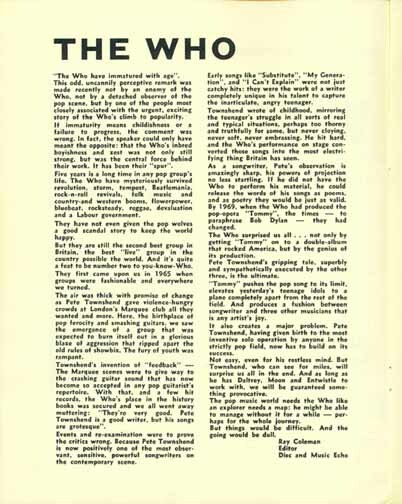 The Who related pages for the May 18, 1974 show at the Charlton Athletic Football Club. 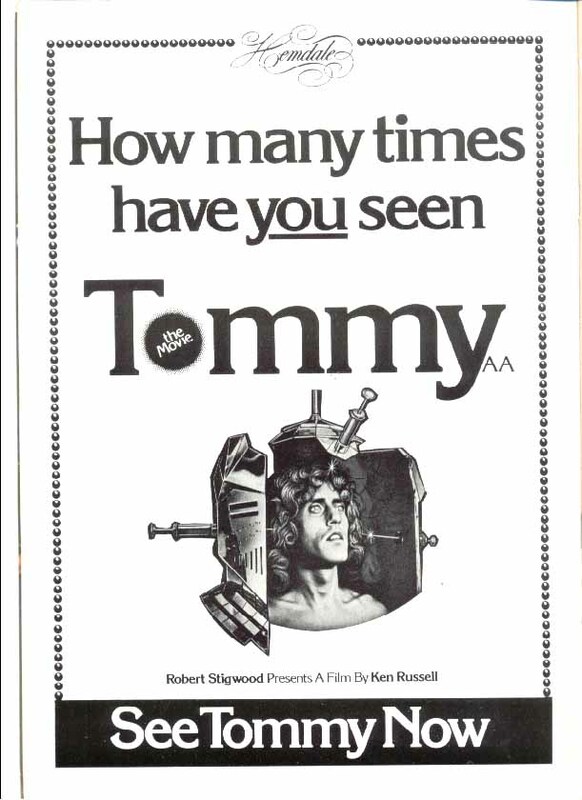 The poster for this show hangs in my home office. 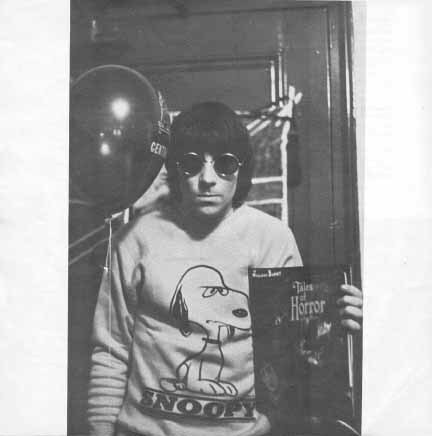 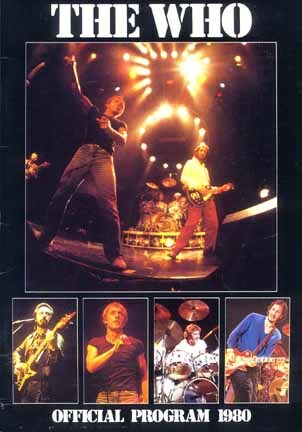 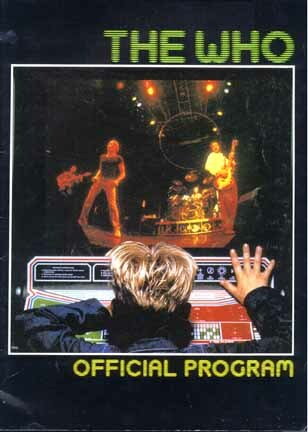 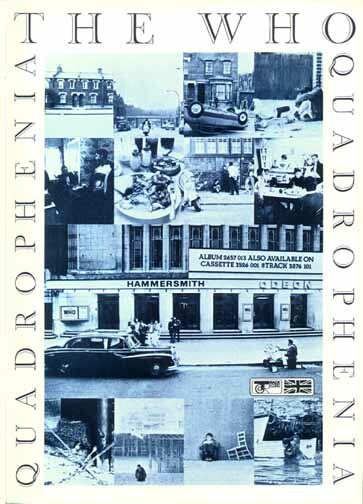 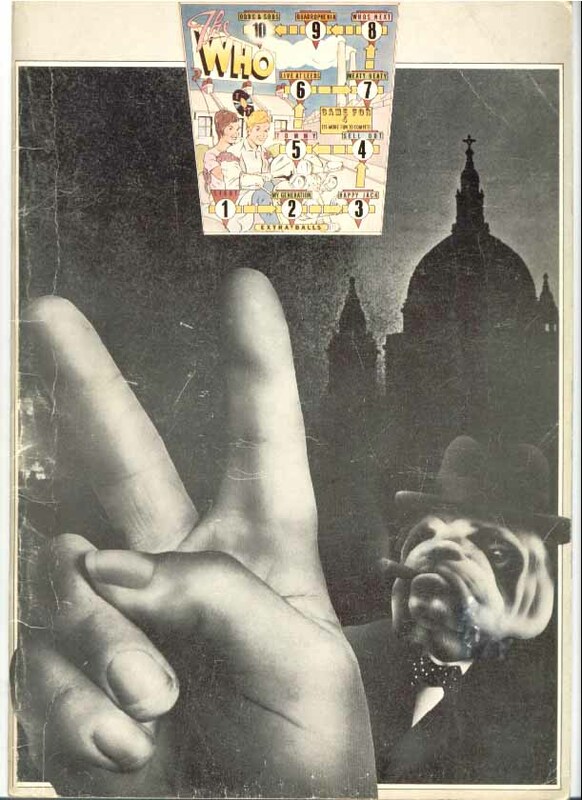 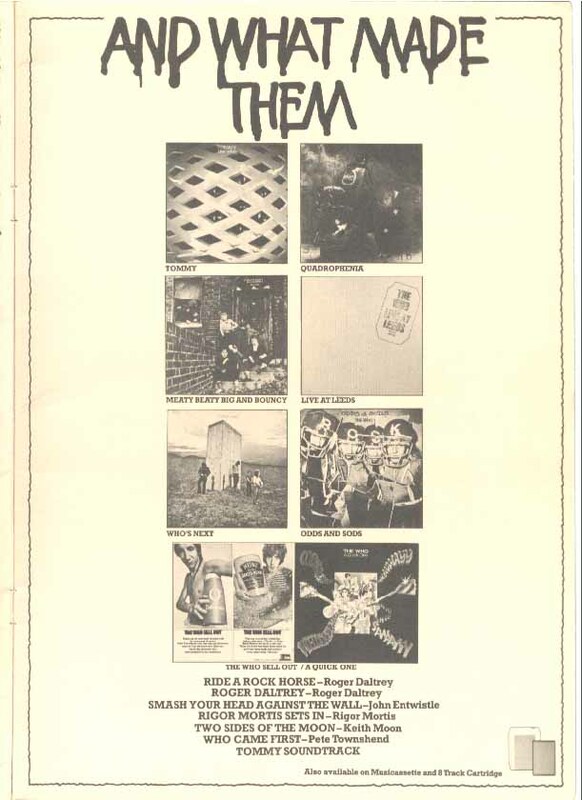 A complete program of the 1975 European Tour with the "Bulldog" cover, courtesy of Bradley Fisher. 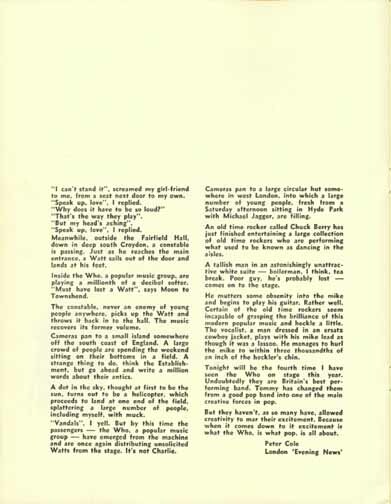 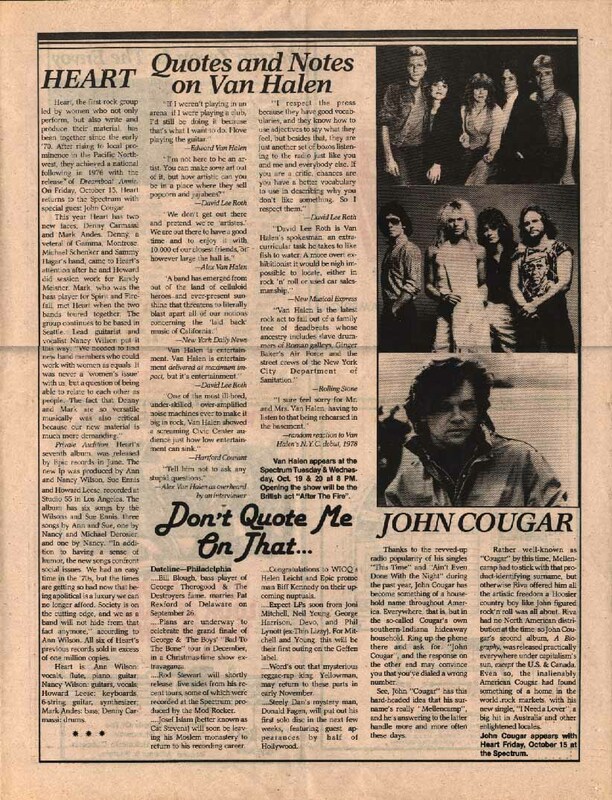 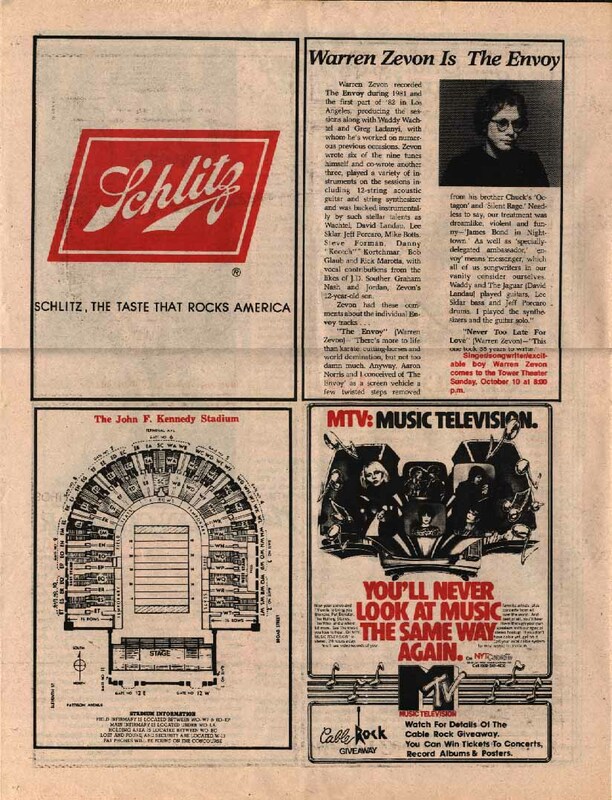 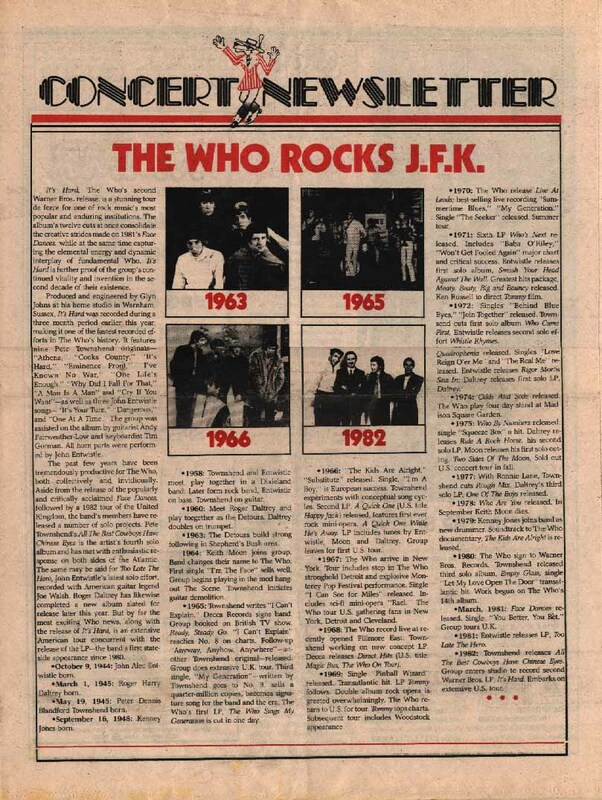 The newspaper "Concert Newsletter" from J.F.K. 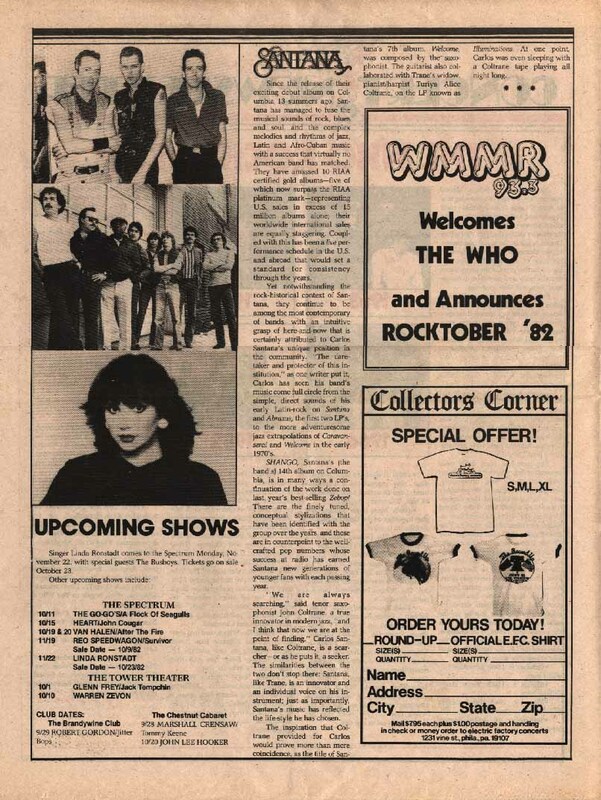 Stadium, Philadelphia September 25, 1982.